Amidst turbulent times of the domestic airlines industry. 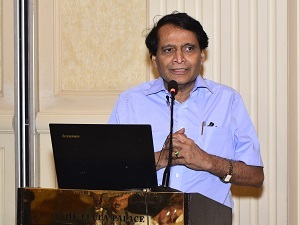 Suresh Prabhu, Minister of Civil Avation has said that government cannot interfere in their-day-to-day operations. He further said that efficient operations and financial performance are individual responsibilities of the carriers. “In view of intense competition, rising costs, shortage of pilots and grounding of planes is hurting many domestic carriers. The government has been constantly responding to industry conditions and cited measures taken, including reduction in central excise duty on jet fuel to 11 per cent from 14 per cent,” the minister said to PTI. Prabhu further said the airline industry is a dynamic industry which requires continuous adjustment according to global and domestic needs. “It is our endeavor to support the industry, however, as stated we cannot interfere in day to-day operations of the airlines,” he noted. 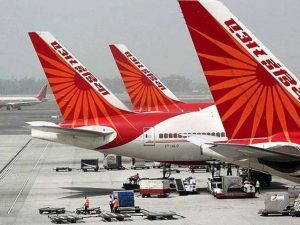 Air India is all set to fly from Delhi-Kannur, starting April 2, 2019. 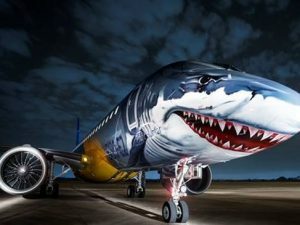 The newly launched flight will be operating five times a week. The flight will commence from Delhi at 0905 hours on Tuesday, Wednesday, Friday, Saturday and Sunday and will reach Kannur at 1215 hours. After this it will continue to operate from Kannur at 1300 hours to Kozhikode at 1330. The flight will return to Delhi by 1845 hours on the same day via Kannur. 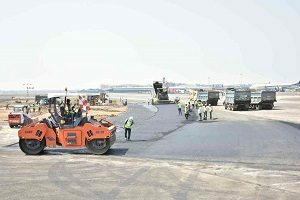 GVK led Mumbai International Airport Limited (MIAL) has completed its runway re-carpeting and maintenance work at the intersection and will resume regular work after a twenty-one-day runway shutdown. The key to success of this project was handing precision on-time re-carpeting work of the runway within its stipulated six hours, maintaining Mumbai’s challenging flight schedule. The re-carpeting of the 50,000 sq. mt. intersection was carried out using state-of-the-art technology which allows ease application, quick-setting features and enables airports to take a load of normal air traffic immediately after application. The resurfacing work was carried by a team of 600 workers in-line with a well-planned exercise to ensure that the work in hand is completed on-time. A military disciplined process was followed right throughout the planning, designing and construction stages with limited aircraft downtime. Mumbai airport is the busiest single-runway airport in the world, having two cross runways, 09/27 (main runway) and 14/32 (secondary runway) handling about 950+ aircraft movements per day. Operating to over 112 destinations in India and around the world, CSMIA has helped the airport set a new record by handling 1,004 aircraft on a single runway on December 8, 2018, surpassing its previous record of handling 1,003 flight movements in a day in June 2018. 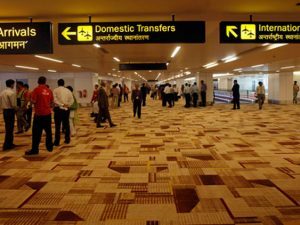 The Indira Gandhi International Airport (IGI), New Delhi, is planning to roll out express check-in counter service for air passengers taking domestic flights from the airport. The service can only be availed by travellers with handbags as luggage. Reportedly, the Delhi airport will introduce this facility by April 2019 at Terminal 2, where low-cost airlines such as Indigo, SpiceJet and GoAir operate. The facility is expected to be extended to Terminals 1 and 3 in future. The growth of more than 20 per cent in the number of new routes in India provided a sizeable boost to passenger demand in the market, according to a latest report by International Air Transport Association (IATA). The surging number of international flyers is drawing airlines to new air routes in India. The increase in international air traffic from India and a focus on business and leisure travellers has prompted not only foreign airlines such as Air Italy and NokScoot to launch new routes to destinations in the country but has also got several Indian carriers including Jet Airways and IndiGo to start operations on foreign routes. Although the combination of GDP and network developments explain more than three quarters of the variation in domestic revenue passenger kilometers (RPK) growth rates over time, other factors such as tourism attractiveness, availability of travel alternatives, trade flows and demographics account for the residual growth in traffic in the country. India has become the third largest domestic aviation market in the world and is expected to overtake the UK to become the third largest air passenger market by 2025, states a report by India Brand Equity Foundation (IBEF). 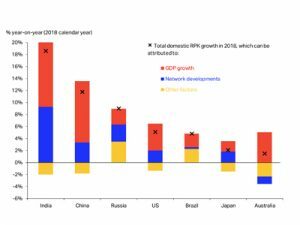 The report reveals that by 2036, India is estimated to have 480 million flyers, which will be more than that of Japan (just under 225 million) and Germany (just over 200 million) together. 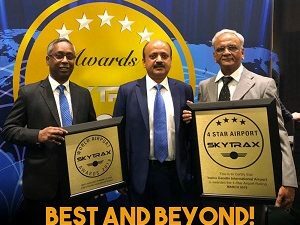 Singapore’s Changi Airport has been declared the world’s best airport for the seventh time in a row, while New Delhi’s Indira Gandhi International (IGI) Airport and Mumbai’s Chhatrapati Shivaji Maharaj International Airport features at 59th and 64th spot respectively, according to the UK-based consultancy firm Skytrax’s World Airport Awards. The Delhi airport has also been adjudged as a global 4-star airport and ascribed as Best Airport in India and Central Asia. The other Indian airports in the list were the Rajiv Gandhi Hyderabad International Airport at 66, up 10 points and Bengaluru’s Kempegowda International Airport at 69, down five points from last year’s rankings. Delhi airport was ranked 66th in 2018, while Mumbai airport stood at 63rd position last year. The Tokyo International Airport (Haneda) was ranked number 2, up one place from 2018. 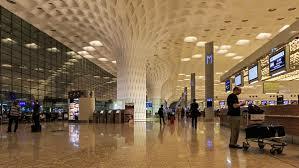 It also won World’s Best Domestic Airport and World’s Cleanest Airport. The 3rd spot was bagged by Incheon International Airport along with the prize for World’s Best Transit Airport. Last year, the airport stood at number in the ranking of best airport. 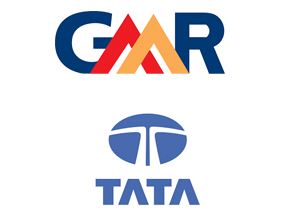 A consortium of Tata Group and two foreign entities, Singapore’s sovereign wealth fund GIC and SSG Capital Management have agreed to invest Rs 8,000 crore ($1.2 billion) to buy around 20 per cent stake in GMR Airports, which runs India’s biggest airport. (Delhi International Airport). Post the deal, GMR Infrastructure and its units will hold about 54 % stake in the airports business, while the company’s Employee Welfare Trust will own 2%. Tata Group will hold about 20 %, with GIC and SSG holding stakes of about 15% and 10%, respectively. Tatas would invest Rs 3,650 crore, while GIC and SSG will put in Rs 2,670 crore and Rs 1,780 crore respectively, making it possibly the largest foreign PE investment in India’s airports space. According to a statement, the deal will pump Rs 1,000 crore into GMR airports as equity infusion, which will be used to retire the airport operator’s debt. The three investors will use the remaining ₹7,000 crore to buy GMR Airports shares from parent GMR Infrastructure and its units, which will also be used to pare debt. This will mark the second corporate behemoth’s entry into India’s airport sector this year. Recently, the Adani Group won bids to operate five airports owned by the state-run Airports Authority of India across the country. 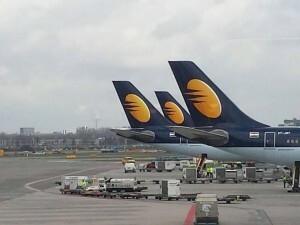 Jet Airways’ management has informed the Ministry of Civil Aviation, that it would fly 40 more aircraft by April end, taking the total number to 75 and assured that it would not ground any more aircraft, informed Pradeep Singh Kharola, Secretary, Ministry of Civil Aviation. “By Monday or Tuesday, Jet and the lessors should come into an agreement on getting back the grounded planes. By the end of April, Jet would be able to fly 40 more aircraft. As on today, Jet is flying 35 aircraft,” Kharola said after meeting with the Jet management including representatives of the State Bank of India (SBI). The meeting took place post the management takeover by the SBI and its subsequent Rs 1,500 crore capital infusion for emergency funding on working capital needs. A total of 75 aircraft is envisaged by April end which is around 80 per cent of the Jet’s total aircraft previously, he said. Kharola also said the government is also keeping a close watch on the airfares and the Directorate General of Civil Aviation has suggested to the airlines not to resort to predatory pricing. GVK Power and Infrastructure (GVKPIL) has said that its subsidiary, GVK Airport Holdings, has agreed to acquire 10 per cent shares of Mumbai International Airport Limited (MIAL) from Airports Company South Africa(ACSA) Global. The company agreed to acquire 12 crore equity shares at the rate of INR 77 per share, which amounts to about Rs 924 crore. Upon completion of the acquisition, GVK group’s share in the Mumbai airport will rise to 74 per cent from the existing 50.6 per cent. Earlier, the group acquired 13.5 per cent stake from Bidvest. The AAI, which holds 26% stake in MIAL, will be the only other JV partner after acquiring stake from Bidvest and ACSA by GVK arm in the Mumbai airport company. The GVK-led MIAL had also received the letter of award for development of greenfield Navi Mumbai international airport project in October 2017.